University of North Carolina Press, 9781469630625, 352pp. The introduction of new medicines has dramatically improved the quantity and quality of individual and public health while contributing trillions of dollars to the global economy. In spite of these past successes--and indeed because of them--our ability to deliver new medicines may be quickly coming to an end. 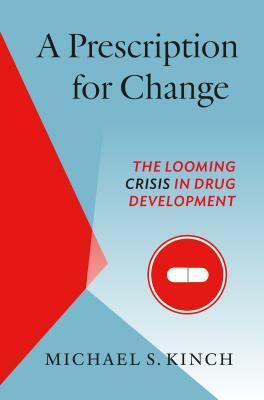 Moving from the beginning of the twentieth century to the present, A Prescription for Change reveals how changing business strategies combined with scientific hubris have altered the way new medicines are discovered, with dire implications for both health and the economy. To explain how we have arrived at this pivotal moment, Michael Kinch recounts the history of pharmaceutical and biotechnological advances in the twentieth century. Kinch relates stories of the individuals and organizations that built the modern infrastructure that supports the development of innovative new medicines. He shows that an accelerating cycle of acquisition and downsizing is cannibalizing that infrastructure Kinch demonstrates the dismantling of the pharmaceutical and biotechnological research and development enterprises could also provide opportunities to innovate new models that sustain and expand the introduction of newer and better breakthrough medicines in the years to come.